Presently urban farms and rooftop gardens, to produce fresh foods are becoming more common in the world. Locally grown produce tends to be better for the environment and for local communities than its store-bought counterparts. Growing food at home also ensures that growers know exactly where their food comes from and how it was grown (no need to worry about deceptive food labeling). 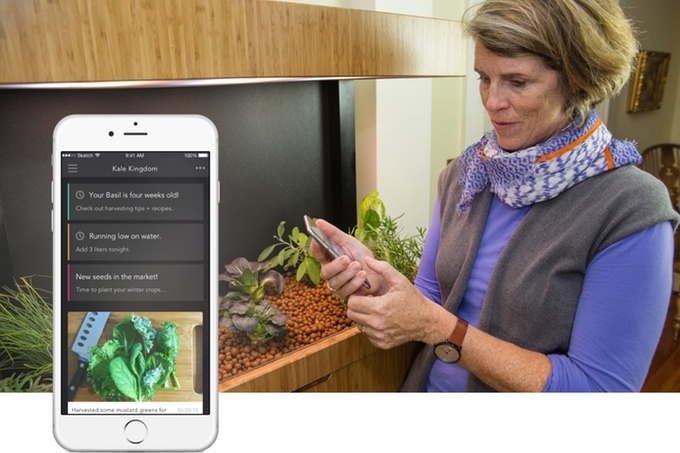 The Grove Ecosystem is an intelligent, indoor garden that makes it possible to grow fresh, flavorful and nutrient-rich food year round. 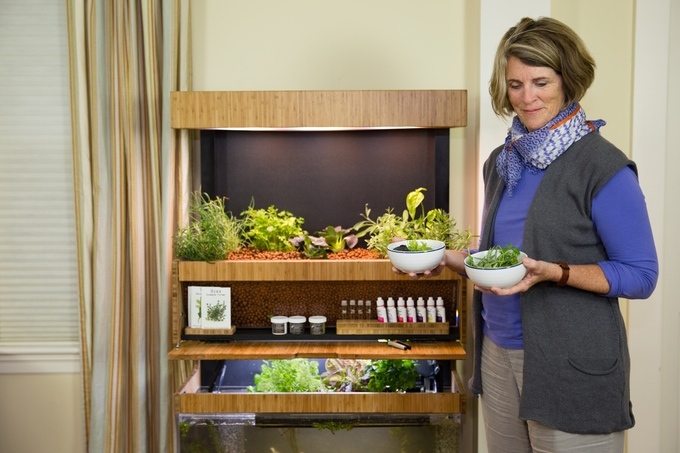 The Ecosystem uses fish, plants, and beneficial microbes to reliably grow delicious produce - including vegetables, herbs, and small fruits - in a space the size of a bookshelf. Through the mobile app, Grove OS, you'll not only be able to control and automate the Ecosystem, but access decades of indoor growing knowledge which will in turn allow you to grow the healthiest, freshest produce for you and your family. How does Grove Ecosystem work? The Ecosystem includes everything you need to get up and running immediately. Grove OS walks you through the entire process - from planting your first seeds, to adding fish to your tank, to harvesting your first crops. As your seeds turn into sprouts and your plants become ready to harvest, Grove OS measures the health of your system and lets you know when to step in. In just a month and a half you can expect to be harvesting fresh, organic produce! The Ecosystem utilizes a natural process called aquaponics, which harnesses the relationships between beneficial bacteria, fish, and plants to reliably grow fresh, delicious produce. The fish process the food they are fed and produce ammonia-rich waste. Beneficial microbes convert the ammonia to nitrates (organic plant fertilizer), simultaneously supplying the plants with nutrients and the fish with clean water. As a result of this natural process, you don't have to clean the tank, wash your greens, or worry about the freshness of your food. This campaign is live at Kickstarter and they have already achieved a whopping $92,500 against a goal of $100,000! You can support and explore further for Grove Ecosystem by clicking at the link Kickstarter.